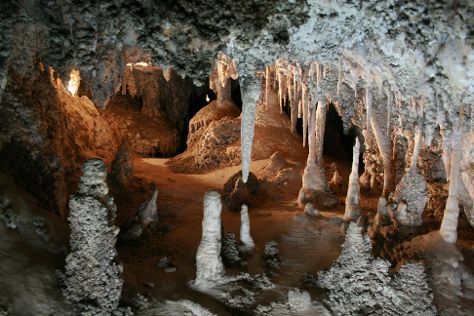 Change things up with these side-trips from Wallerawang: Jenolan Caves (in Jenolan Caves), Hartley Historic Site (in Hartley) and Mayfield Garden (in Oberon). To see photos, other places to visit, where to stay, and tourist information, go to the Wallerawang online tour itinerary planner . Sydney to Wallerawang is an approximately 2.5-hour car ride. In December, daytime highs in Wallerawang are 34°C, while nighttime lows are 19°C. Finish your sightseeing early on the 31st (Mon) so you can travel to Cowra. Cowra is a town in the Central West region of New South Wales, Australia. 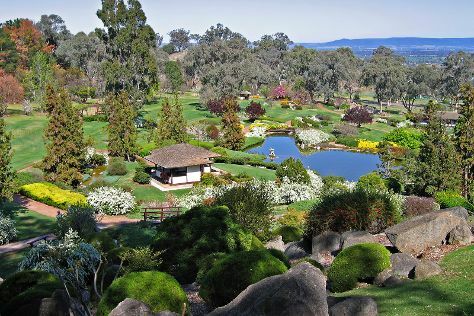 On the 1st (Tue), explore the different monuments and memorials at Japanese War Cemetery, don't miss a visit to Cowra Prisoner of War Camp, then take in nature's colorful creations at Cowra Japanese Garden, and finally don't miss a visit to Australia's World Peace Bell. To see maps, reviews, ratings, and tourist information, use the Cowra tour itinerary builder tool . You can drive from Wallerawang to Cowra in 2 hours. Cap off your sightseeing on the 1st (Tue) early enough to go by car to Orange. Orange is a city in the Central West region of New South Wales, Australia. On the 2nd (Wed), contemplate the waterfront views at Lake Canobolas, then do a tasting at Rowlee Wines, and then indulge your senses at some of the top wineries in the area. Get ready for a full day of sightseeing on the 3rd (Thu): admire the natural beauty at Cook Park, examine the collection at National Motor Racing Museum, then examine the collection at Australian Fossil and Mineral Museum, and finally admire the striking features of Abercrombie House. To find photos, more things to do, reviews, and more tourist information, refer to the Orange trip maker . You can drive from Cowra to Orange in 1.5 hours. Alternatively, you can take a bus. In January, plan for daily highs up to 35°C, and evening lows to 19°C. Finish your sightseeing early on the 3rd (Thu) to allow enough time to take a train to Dubbo. On the 4th (Fri), admire nature's wide array of creatures at Taronga Western Plains Zoo, then contemplate the long history of Old Dubbo Gaol, and then make a trip to Western Plains Cultural Centre. To see maps, where to stay, and other tourist information, read our Dubbo online travel planner . Traveling by train from Orange to Dubbo takes 2 hours. Alternatively, you can drive; or take a bus. In January in Dubbo, expect temperatures between 38°C during the day and 21°C at night. Finish up your sightseeing early on the 4th (Fri) so you can go by car to Mudgee. Kick off your visit on the 5th (Sat): sample the fine beverages at Baker Williams Distillery, do a tasting at Lowe Wines, then indulge your senses at some of the top wineries in the area, and finally learn about winemaking at SHORT SHEEP Micro-Winery. Get ready for a full day of sightseeing on the 6th (Sun): learn about winemaking at Burnbrae Wines, then experience rural life at Mudgee Honey Haven, then see the interesting displays at Gulgong Pioneers Museum, and finally look for all kinds of wild species at The Drip Gorge. To see where to stay, traveler tips, maps, and more tourist information, read our Mudgee trip planning site . Traveling by car from Dubbo to Mudgee takes 2 hours. Alternatively, you can do a combination of train and car; or take a bus. Expect slightly colder weather when traveling from Dubbo in January: highs in Mudgee hover around 35°C, while lows dip to 19°C. Wrap up your sightseeing on the 6th (Sun) early enough to travel back home.